We have been providing expert cardiovascular care to Everett and Snohomish County residents for over 35 years. Our team consists of eight academically trained cardiologists as well as 3 advanced practice clinicians (APCs) specializing in clinical cardiology, electrophysiology, interventional cardiology, vascular and endovascular medicine, cardiac and vascular imaging and congestive heart failure. At WWMG Cardiology, our mission has always been to put the needs of our patients first. We focus on the unique health and lifestyle needs of each patient, and build an individualized care plan to meet those needs. We also seek out and partner with some of the best healthcare providers in the region to ensure our patients have access to the broadest possible range of resources. As of July 1, 2016, WWMG Cardiology is formally affiliated with Providence Health Services, after ending its previous affiliation with Northwest Hospital and the larger UW Medicine health system. WWMG’s cardiologists as well as their advanced practice clinicians (APCs) will continue to build on the group’s many years of excellent work in Snohomish County. Further collaboration between WWMG Cardiology and Providence Medical Group Cardiology will bring together the expertise of both groups to advance and strengthen heart and vascular care in our region. Current WWMG Cardiology patients will see the same provider and receive services in the same space as before. You should see little changes to your insurance coverage as WWMG Cardiology under the partnership with Providence accepts the majority of the plans that we saw under Northwest Hospital. We do encourage you to check your insurance and the office to double check and ensure coverage under your current plan or network after the transition on July 1, 2016. Patients who receive care under the UW Medicine Accountable Care Network (Preferred Partnership or UMP Plus) will be out of network. If you have any questions about your cardiology care with WWMG, you can call 425-225-2700 for more information. 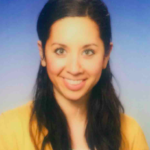 You can read the letter sent to our patients here. The Cardiology Imaging Center (CIC) at our Silver Lake Office is jointly administered by Western Washington Medical Group and Providence Health Services. Our CIC provides the highest level of cardiovascular testing in Everett and Snohomish County. The laboratories are professionally staffed and provide full range imaging services for heart and vascular disorders. 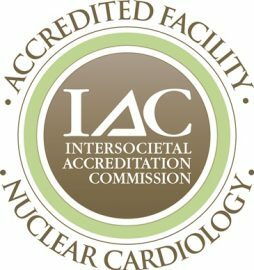 We are proud to announce our Nuclear Cardiology Laboratory has been accredited through the Intersocietal Accreditation Commission. Any patient who needs non-invasive testing (echo, vascular, nuclear stress testing) can be referred to our office. Use the form at the bottom of the page to request a Cardiology appointment today.